Moderate acute malnutrition (MAM), also known as wasting, is defined by a weight-for-height indicator between -3 and -2 z-scores (standard deviations) of the international standard or by a mid-upper arm circumference (MUAC) between 11 cm and 12.5 cm. Another type of acute malnutrition is severe wasting. This is characterized by a massive loss of body fat and muscle tissue. Children who are severely wasted look almost elderly and their bodies are extremely thin and skeletal. In this form of severe acute malnutrition, oedema is present on the lower limbs, and is verified when thumb pressure is applied on top of both feet for three seconds and leaves a pit or indentation in the foot, after the thumb is lifted. The oedema may eventually spread to the legs and face, and the child appears puffy, and is usually irritable, weak, and lethargic. Other signs of oedema include skin lesions, an enlarged liver and thinning hair. Underneath the oedema, the muscles have been severely weakened and the child experiences excruciating cramping and muscle pain. A severely malnourished child with oedema is at high risk of death and requires immediate treatment. Both types of severe acute malnutrition compromise the body’s vital processes. 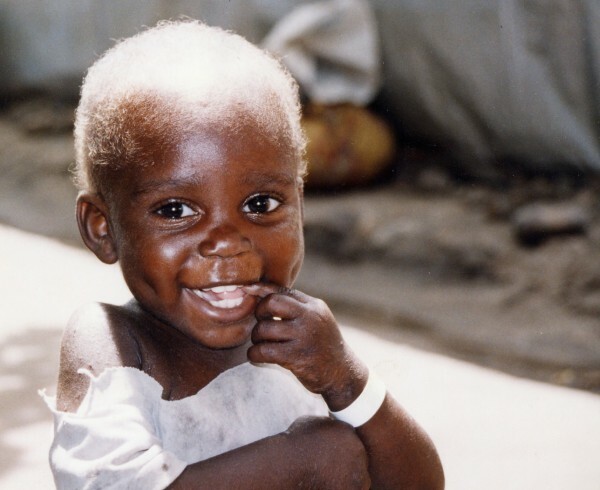 Even if a malnourished child is treated and his/her nutritional status is restored, his/her physical and mental development and general health status may be adversely effected in the long term. Both moderate acute malnutrition and severe acute malnutrition may be accompanied by micronutrient deficiencies such as iron deficiency or nutritional anemia, iodine deficiency disorders and vitamin A deficiency. Globally, moderate acute malnutrition affects a greater number of children than severe acute malnutrition. While children suffering from either moderate acute malnutrition or severe acute malnutrition are susceptible to illness, severely malnourished children are at greater risk of medical complications and death from illness, infections, and micronutrient deficiencies.